When burdened with bad credit, it can feel like viable lending options are few and far between. Payday loans? Car title loans? Secured personal loans? Pretty much your only options, right? Well, we’re here to tell you there are alternatives. Many reputable lenders offer unsecured personal loans to those with bad credit, ranging between APR of $5.99% to 35.99%. Better than payday loans with APR of 400%! From 0 credit score to those requiring a 500-580 range, we compiled a list of reliable lending options that can provide the cash you need without having to risk your collateral in the process. So whether it’s an unexpected emergency or you’re taking steps to rebuild your credit profile, we have all the information you need to get moving in the right direction. Our loan calculator will help you! BadCreditLoans offers unsecured personal loans for very bad credit. And like their motto states – they can help when others can’t. While loan amounts can reach up to $5,000, those with really bad credit shouldn’t expect that much. Usually BadCreditLoans will provide up to $1,500 if your credit is extremely poor, while those with higher credit scores can get the full $5,000. Those with really bad credit still get approved. APRs in the personal loan range which means less than 35.99%. For those with really bad credit, expect high APRs ranging from 20% to 35.99%. Not all loans get approved. As another great option for those with really bad credit, LendingTree has both the scale and reputation of a market online leader. With over 10 billion in loans provided, LendingTree is one of the largest personal loan lenders in the marketplace today. What separates LendingTree from other major players is the company offer unsecured loans for those with really bad credit. LendingTree provides loan options to people with credit scores as low as 500. Conversely, some of its 10 largest competitors often require minimum credit scores in the 600-700 range – which makes it much more difficult to obtain a loan. With APRs ranging from 3.99% to 35.99%, LendingTree offers unsecured loans up to $35,000. But will you really receive that much? In all honesty, it’s unlikely. If you have really bad credit, the amount you can get will be much lower and your APR will most likely fall near the 35.99% mark … high but again better than %400 APR of payday loans. However, considering loans are unsecured – like BadCreditloans – you never have to worry about losing any collateral. As well, you can discuss your situation directly with them and see what terms are appropriate for you. As one of the largest online loan companies, LendingTree is a name you can trust. APRs range from 3.99% to 35.99%. Low credit score requirements (500 minimum). Some people with extremely bad credit won’t be approved. A loan origination fee of 0-3% can apply. As a relatively new player in the lending space, we categorize Opploans as an alternative lender. For more detail on what separates them from the other options above, check out our detailed guide on the Best Payday Loan Alternatives for Bad Credit 2019. To break it down in brief, the main thing you should know is Opploans does not provide personal loans. The reason is their APRs exceed 35.99%. However, even with the higher APR, its products are still cheaper than traditional payday or car title loans. Those with very bad credit can still get approved. They don’t check your credit but will access your financial transaction history. A much cheaper alternative compared to traditional payday and auto title loans. Very expensive, with APRs ranging from 99% to 199%. High APRs put you at risk of falling into a debt cycle. Fitting the bill as another alternative lender, PersonalLoans offers unsecured loans ranging from $1,000 to $35,000. Through its vast network of lenders, it can offer APRs ranging from 5.99% to 35.99%. With installment and bank personal loans typically requiring a minimum credit score of 580, PersonalLoans can offer great lending solutions to those with bad credit. So what else is required? Well, you need to have some form of recurring income: full-time employment, self-employment, regular disability or Social Security benefits. You can get loans up to $35,000. Fair APRs ranging from 5.99% to 35.99%. Repayment periods that range from 90 days to 72 months. You’re required to have some form of recurring income. Loan origination fees apply in most cases. Promising a $200 credit if you find a better rate from another competitor, Credible offers unsecured personal loans ranging from $1,000 to $100,000. Keep in mind though, finalized amounts depend largely on your debt-to-income ratio and you’re also required to have steady income. And what about your APR? While each lender within Credible’s network uses its own proprietary method to determine rates, typical APRs range from 5.34% to 35.99%. As well, loans come with repayment periods that range from 61 days to 120 months. Free to use and no hidden fees. Fair APRs ranging from 5.34% to 35.99%. Receive rates in as little as 2 minutes. Loan origination fees range from 0% to 8%. Loan amounts on your debt-to-income ratio. As another unsecured loan option for those with bad credit, LendingPoint offers APRs that range from 15.49% to 35.99%. As well, you have access to funds ranging from $2,000 to $25,000. To get a loan, you must have an annual income of at least $20,000 and a minimum FICO Score of 585. As well, a loan origination fee of 0% to 6% is applied to each borrower. And what else should you know? Well, LendingPoint loans are only available in 34 states, and if you have bad credit, your APR will most likely fall at the high-end of the range. As well, the company does not offer a co-signer option. Low credit score requirement (585 minimum). Instant approval or within one business day. No restrictions on what the loan can be used for. Must have an annual income of at least $20,000. Must have a debt-to-income ratio of 35% or less. Only available in 34 states. With no minimum credit score requirement, NetCredit offers bad credit lending options to borrowers in select states. The company also has no debt-to-income requirement or minimum credit history. As well, its only requirement is that you earn ‘steady income’ – which can be traditional employment, self-employment or retirement benefits. And what about the drawbacks? Like many things in life, there are two sides to every coin. Unsecured loans range from $1,000 to $10,000, however APRs can be extremely high. For loans in the state of California, APRs range from 34% to 155%, with a typical APR coming in at 84%. As well, there is no co-signer option to lower your interest rate. No minimum credit score requirement. High APRs that can reach up to 155%. Loans are only available in Alabama, California, Delaware, Georgia, Idaho, Illinois, Missouri, North Dakota, New Mexico, South Carolina, South Dakota, Utah, Virginia and Wisconsin. With loan amounts ranging from $2,000 to $35,000 Avant is another online lender offering unsecured solutions to those with bad credit. While the company has a minimum FICO Score requirement of 580, APRs fall in the healthy range of 9.99% to 35.99%. Again though, if you have poor credit, you’ll most likely fall near the high-end of the range. As well, Avant personal loans are not available in Colorado, Iowa, Vermont or West Virginia, however lending options are available in all other states. At initiation, you pay a loan origination fee of 4.75%, but the company doesn’t charge any penalties for early repayment. Low credit score requirements (minimum 580). Flexible loans amounts ranging from $2,000 to $35,000. Reasonable APRs ranging from 9.99% to 35.99%. Lending options are not available to residents in Colorado, Iowa, Vermont or West Virginia. The company applies a loan origination fee of 4.75%. Can You Get an Unsecured Loan with Bad Credit and What Rates Should You Expect? You can absolutely get an unsecured loan, even with bad credit. Our options above provide clear proof – that in today’s market – lenders are more willing to provide unsecured financing than in year’s past. Well, it all comes down to competition. 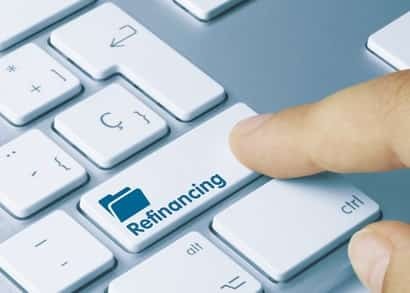 The online lending market is an extremely competitive space and with plenty of companies fighting for your business, many online lenders are willing offer unsecured financing options as a means to increase profitability. A second reason is the modernization of credit analysis. Instead of focusing on your credit score alone, lenders now take a holistic approach to credit analysis and examine your entire financial situation. Variables like your work history, education, spending activity and savings balance can all be used to cover up a bad credit score. So with that in mind, how much can you expect to receive? Well, in most cases, a low credit score means less cash you’ll receive up-front. With many unsecured loans starting at roughly $1,000 and up, you’ll most likely get loans at the low-end of the range. Here, you’ll most likely fall near the top-end of the range. Most of the unsecured bad credit loans we recommend have APRs that are capped at 35.99%. With bad credit, your sweet spot is right here. However, before you get too discouraged, there is a bright side. Even at 35.99%, your out-of-pocket costs are still much less than what you’d receive from a payday or a car title loan. What Loans Should You Avoid? Without question, it’s payday and car title loans. Predatory in nature, payday loans come with absurdly high APRs that average 400%; as well, borrowing amounts typically peak at $1,000. Payday loans also have significant rollover fees. If you find yourself in the unenviable position of defaulting on the loan, payday lenders usually allow you to ‘rollover’ the loan and extend its due date. By rolling over the loan, you’re required to pay both the original loan fee and a penalty fee for the late payment. On top of that, you still owe the principal balance as well. Another overlooked risk is bank overdraft fees. When a payment is charged to your checking account by the payday lender and your account doesn’t have the funds to fulfill the entire transaction – banks can charge overdraft fees that increase your costs that much more. The Consumer Financial Protection Bureau (CFPB) found that 20,000 bank account holders who made payments to online payday lenders incurred an average of $97 in overdraft and non-sufficient funds fees. The figure is nearly three times more than the $34 incurred by the average American. Now for car title loans. As a type of secured loan, car title loans require you to put up your car as collateral. If you fail to make the payments, your car can be seized in the process. Because of a questionable reputation, car title loans are actually illegal in many states. When marketing the product, lenders often lure customers by promising fast approval and not checking of your credit. Lenders know your credit score is low and use this information to profit off those in financial trouble. They specifically target borrowers in desperate financial situations or those with really bad credit. How else do car title loans cause financial harm? Remember – in 2019 – there are many unsecured lending options available to those with bad credit. If bad credit is holding you back from obtaining a loan, a co-signer can be a great way to achieve fast approval and more favorable terms. Acting as a guarantor of the loan, a co-signer promises to pay back the debt proceeds if you default of the loan. For you and the lender, the arrangement benefits both parties. You benefit by receiving a lower APR and more favorable loan terms. The lender benefits because a co-signer decreases the risk of default. So what options are out there? While many companies in our list above don’t allow co-signers, there are several reputable lenders who support the practice. OneMain Financial, LendingClub and Wells Fargo offer co-signer loans with amounts ranging from $1,000 to $100,000 and have APRs that range from 6.95% to 35.99%. So if you have a trusted friend who’s willing to act as a co-signer, it can be great way to avoid more expensive loan alternatives. Citing a recurring problem across the United States, the Federal Trade Commission (FTC) issued a report stating that consumers lost more than 905 million to loan scams in 2017 – an increase of 63 million from 2016. Lenders are always required to disclose their fees beforehand; and usually, these costs are rolled into the total cost of the loan. If a lender asks for a payment upfront, something fishy going on. All loans must be finalized in writing and it’s illegal to make offers over the phone. If a lender tries to finalize the agreement over the phone, think twice before accepting. Lenders are required to officially register their company within the state they operate. If a lender is unlicensed, there’s likely a good reason for it. Legitimate lenders are always concerned about default risk. Thus, analyzing your credit history is the bare minimum when deciding whether or not to approve a loan. If a lender is eager to finalize the deal without any such check, it’s most likely a scam.